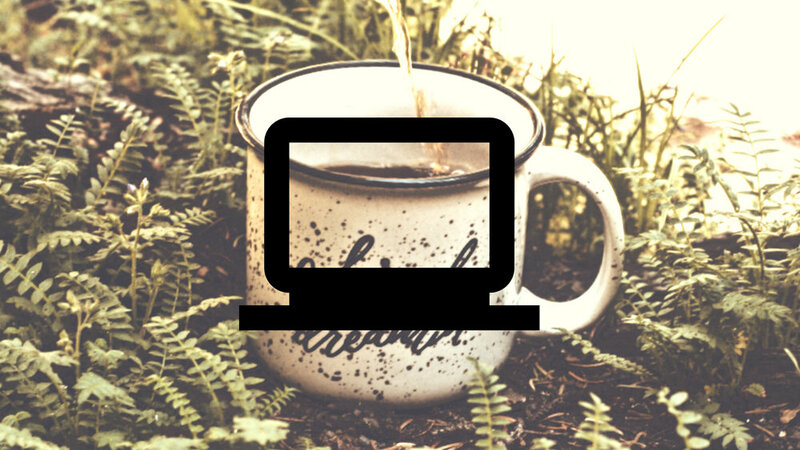 Please pour yourself a cup of coffee or tea and join Cambium Counseling from anywhere in the state of Colorado that has a good Internet connection. Teletherapy is a powerful and effective way to access counseling services from the privacy of your own home or office. It provides flexibility to those who are unable to have in-person sessions due to remote location, childcare requirements, inability to drive, inclement weather, or preference. My wife works out of town a lot and we need a couples counselor who can help us work on communication issues even when she is on the road and I am at home with our kids. MY Daughter is in a Sober living program in Denver and my husband and I live in Pueblo. We are Seeking family addiction counseling services for all of us to help the whole family heal and move forward in recovery. The people in my town are in everyone else's business and i need to know that what i talk about in counseling will not become town gossip. Sometimes my back pain flares up and I do not want to get in my car to drive to an appointment and yet, I still need support with my anxiety. I would like to be able to call in and receive support from the comfort of my own home. To ensure your confidentiality is maintained, Cambium Counseling uses Regroup Therapy, a HIPPA compliant video conferencing platform for teletherapy services. While we offer HIPAA compliant technology to safeguard your privacy in the digital realm, it is up to you to ensure that you are in a private place when you are engaging in a teletherapy session. Teletherapy is not right for everyone, and that includes those that pose an immediate risk to themselves or others. An initial assessment will be done to make sure that teletherapy is right for you. No matter where you are in Colorado, you and your family CAN learn the skills and tools for improved health and wellness. Please contact Cambium Counseling to see if Teletherapy is a good fit for you, your relationship, or your family. Stephen, 45 is a field petroleum engineer and project manager for an oil and gas company. He travels a lot for his job and during his work week he can work seventy to eighty hours in a week. When he is not working, he likes to do go on solo mountaineering trips around Colorado. In the past, he says he was able to manage his stress level but in the last few months he has been experiencing ongoing chest pains, tension in his neck, a racing heart, and he reports he cannot focus on anything. A few times he was convinced that he was having a heart attack but after googling his symptoms he was certain that he was having panic attacks which were terrifying. Stephen read online that the best treatment for panic attacks is a combination of medication and psychotherapy. Before attending counseling, he visited his general MD who prescribed a low dosage SSRI (selective serotonin reuptake inhibitor) and provided a recommendation for a counselor. Stephen was concerned about how he was going to start going to counseling when his schedule does not afford him the opportunity to go to a therapy office on a regular basis. When he heard Teletherapy was a service provided by his counselor, he felt relieved. During his first meeting with his counselor at her office in Golden, Stephen reports he wants relief as quick as possible and is committed to an intensive approach to achieve relief. Stephen and his therapist create a schedule for teletherapy sessions that will take place in the late morning twice a week. Because Stephen finds peace in nature, the counselor and client begin each session on the phone with a 20 minute guided walking meditation. Each meditation is designed to help Stephen develop and hone his meditation practice. Stephen reports that the walking meditation is invaluable in terms of reducing his stress, improving his focus and mood, and he advises that despite the benefits, he believes if he did not do the meditation practice in counseling he would not do it all. The final 30 minutes of the session, Stephen returns to a space where he has privacy and can video conference with his counselor. This part of the session focuses on DBT and psychosomatic strategies to help Stephen identify unhelpful thinking patterns and habits, increase emotional distress tolerance, increase understanding of physiological responses, and practice acceptance of different life situations. One of the first questions his counselor asks him was what was going on in his life when he first began to experience symptoms. Stephen reports his wife of 17 years left him at the same time he received an incredible promotion at his job. He reports that he was completely devastated by the loss of his marriage and yet excited about the promotion. His wife told him the reason she was leaving him was because he did not pay attention to her or their 15 year old son. Accepting his wife leaving him was unbearable for Stephen and he just further threw himself into his work. However, after a week he noticed he began to experience increased levels of worry and anxiety. In less than a month, Stephen reports he began experiencing panic attack symptoms several times a day. For the first 60 days of counseling, the counselor and client maintain a schedule of 50 minute sessions twice a week. The client reports a significant decrease in symptoms. He reports having panic attacks less than once a week. During the course of the anxiety counseling, Stephen recognizes he has a lot of grief surrounding the loss of his marriage, his challenging relationship with his teenage son, and a lack of work-life balance. He shifts from twice a week to one 50 minute session a week and begins to work on these other elements in his life. After eight months, Stephen reports he no longer had anxiety attacks. He is still continuing to grieve his divorce and yet felt more confident about how he related to his ex-wife. Something Stephen is really excited about is his improved relationship with his son who, has recently started going on short mountaineering trips with Stephen. If you or a loved one is experiencing anxiety, relationship issues, addiction recovery or another life concern and can attend sessions in person, please contact Cambium Counseling to see about Teletherapy.